Guanfeng (Andy) An, chief engineer of Guangzhou Municipal Group, first saw Sprayroq protective and structural coatings at an industry conference last year. 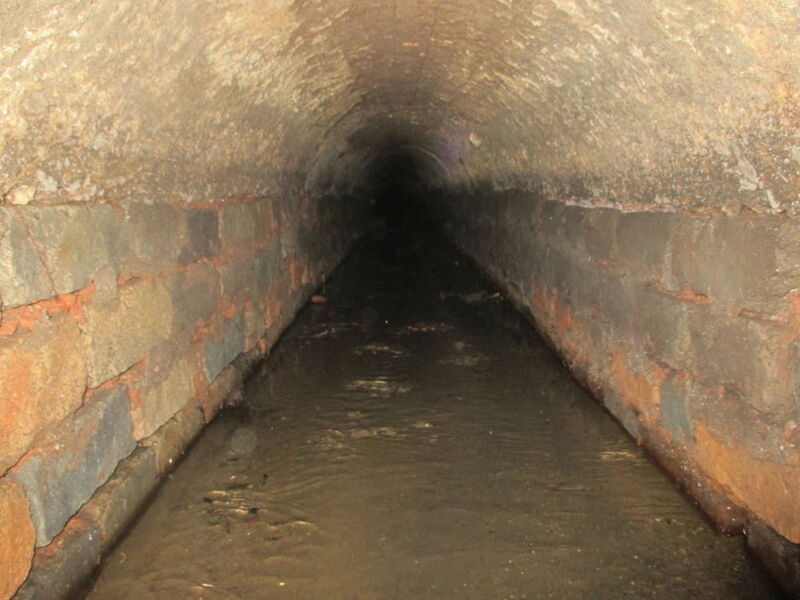 He found a trenchless rehabilitation project on 200 ft of an arch tunnel in old town Guangzhou in Guangdong Province of the People’s Republic of China. As general contractor on this project, Guangzhou Municipal Group contacted Xiamen Anyue Trenchless Technology Engineering Ltd., southeast China’s Sprayroq certified partner. They would be responsible for rehabilitation of the tunnel following inspection and cleaning. The brick-and-masonry structure was more than a century old, and root intrusion and corrosion had caused severe damage. With one of China’s largest rivers just a block away, the high groundwater table’s hydraulic pressure had collapsed the line, causing severe leaking. Heavy silt covered more than 3% of the bottom. The city was seeking a structural rehabilitation and infiltration control solution with a 50-year service life. Sprayroq and Xiamen Anyue provided consultation on specific technology, installation and design. The tunnel had an irregular shape—800 mm sq at the bottom and 800 mm diameter rounded top—providing an unusual design challenge. This also is a relatively small size line to accommodate necessary man entry for the application process. Traffic is heavily congested, so work started after 8 p.m. Occupying one traffic lane, equipment had to leave before 6 a.m.
Xiamen Anyue fielded a 10-man crew for the one-month job: three weeks cleaning and preparation and one week applying 6 mm of Spraywall structural coating. Tons of silt were shoveled out by hand. The collapsed section was reinforced with a steel plate and the entire surface repaired with concrete prior to spraying. The bypassed line was returned to service after final inspection, 24 hours later.